As the home of Microsoft and Nintendo of America — and known as the “Bicycle Capital of the Northwest” — Redmond, WA, is a community on the cutting edge. 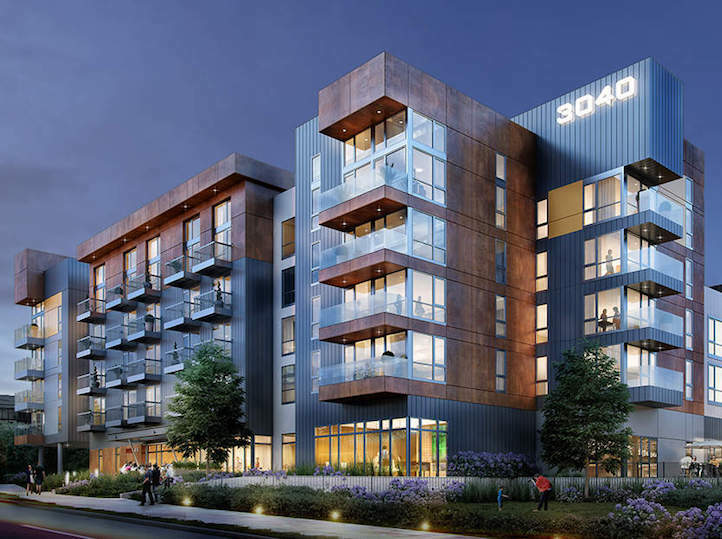 Therefore, it’s not surprising developer White/Peterman properties wanted to ensure its new 243-unit Redmond 148 multifamily luxury housing complex would be on the leading edge in design, function, and security. From the initial stages of the design-build process, American Direct and AccessNsite collaborated early and often with White/Peterman, architect (Jensen Fey), the manufacturer specifier, and general contractor (Halvorson Construction) on consultation, design, and total 8/28 integration. 1) Securing resident units and common areas with AccessNsite and intelligent locksets. 2) Providing holistic surveillance with the AccessNsite VideoIP video management solution. 3) Reducing costs by pre-programming the intelligent lockset prior to delivery and installation. The design plan included resident units and common areas to be secured with AccessNsite and intelligent locksets pre-programmed prior to delivery and installation. On average, the cost of a multi-family intelligent lockset is more than $1,500, and traditional common area access control doors are approximately $2,750. With pre-engineered programming and design efficiencies, the average cost per residential unit at Redmond148 was about $800 and common area doors were less than $1,700. This savings allowed for additional budget for the enhanced video surveillance and security options. American Direct’s National Contract Sales Vice President, Jerry Pennington, says that many clients don’t understand the power of video until they realize what AccessNsite can provide. “The addition of video makes it extremely cost effective to monitor certain areas, and in the case of Redmond148, the video has a storage feature with up to 30 days of recorded video,” says Pennington. In the early stages of consultation, American Direct reviewed the drawings the general contractor created. Based on those, American Direct created a riser build-out to show how they could wirelessly handle the locksets in the common areas and also show how the infrastructure looks with a wiring schematic identifying exactly how it functions and terminates. Specifications were revised several times to accommodate several unique situations. For example, the design in the corridors is for double egress (door swings in opposite directions) doors. The corridors are 6 ft. wide and once a frame is installed, the doors still have to swing with a 32 inch clearance in each direction. American Direct relied on their extensive network of vendors to devise a custom frame for door openings in these corridors. Another unique request was for American Direct to provide an automated credential-based parking system for people to enter the parking garage. The security solution included a hang tag on the rear view mirror that corresponds with the card reader above the gate. American Direct, AccessNsite and White/Peterman Properties have plans for future projects, all including design build not just for unit entries and common areas, but also for the video and intrusion part of the access control. An additional multi-family project and a Marriott Hotel are already in the works.